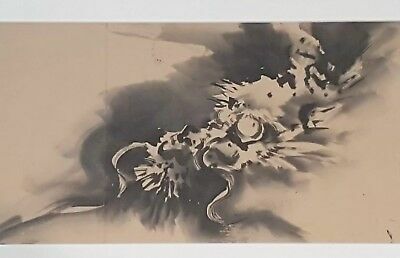 A Stunning Meiji Period Sumi-e Ink Painting Of A Water Dragons Head. Sold EUR 288,63 Buy It Now or Best Offer, EUR 41,56 Shipping, 14-Day Returns, Pay with PayPal and you're fully protected. Popularity - 2 views, 0.0 views per day, 165 days on eBay. Normal amount of views. 1 sold, 0 available. 2 views, 0.0 views per day, 165 days on eBay. Normal amount of views. 1 sold, 0 available.